Last year in Android Nougat, we introduced APIs for retrieving Global Navigation Satellite System (GNSS) Raw measurements from Android devices. This past week, we publicly released GNSS Analysis Tools to process and analyze these measurements. Android powers over 2 billion devices, and Android phones are made by many different manufacturers. The primary intent of these tools is to enable device manufacturers to see in detail how well the GNSS receivers are working in each particular device design, and thus improve the design and GNSS performance in their devices. However, with the tools publicly available, there is also significant value to the research and app developer community. 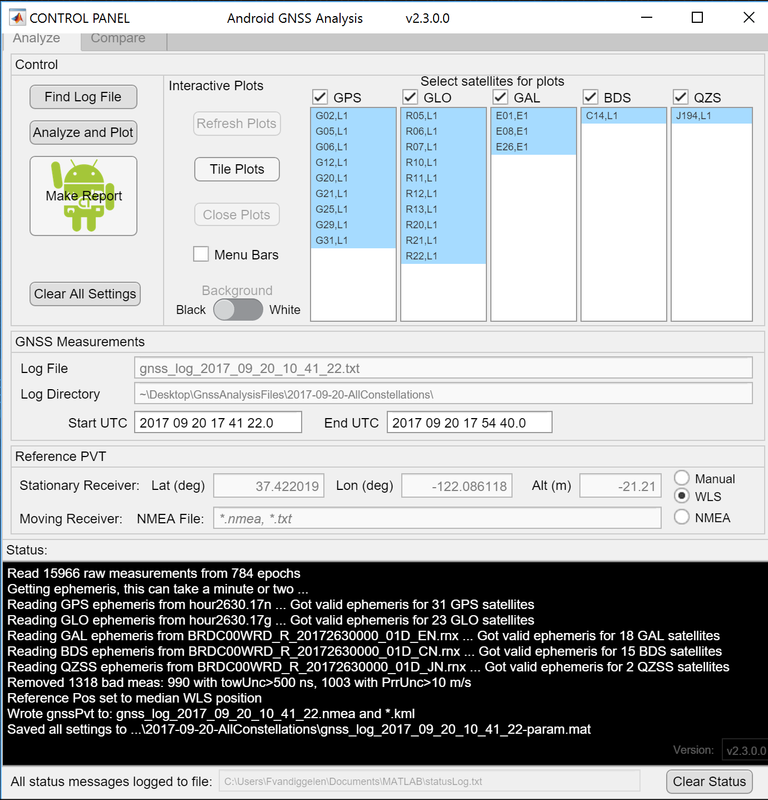 The GNSS Analysis Tool is a desktop application that takes in raw the GNSS Measurements logged from your Android device as input. This desktop application provides interactive plots, organized into three columns showing the behavior of the RF, Clock, and Measurements. 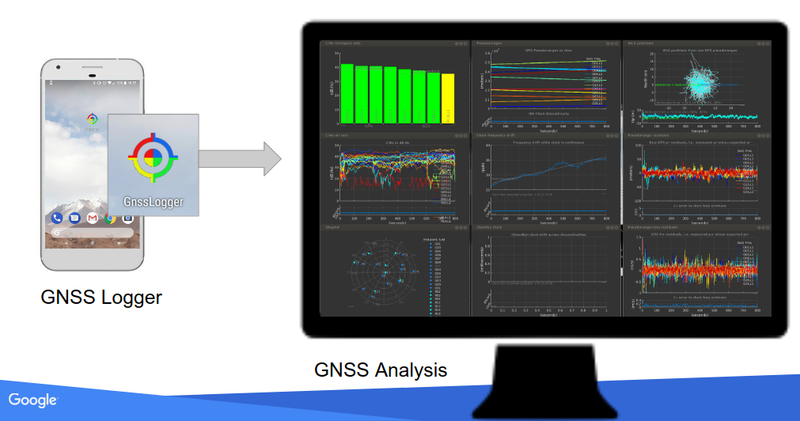 This data allows you to see the behavior of the GNSS receiver in great detail, including receiver clock offset and drift to the order of 1 nanosecond and 1 ppb and measurement errors on a satellite-by-satellite basis. This allows you to do sophisticated analysis at a level that, until now, was almost inaccessible to anyone but the chip manufacturers themselves. The tools support multi-constellation (GPS, GLONASS, Galileo, BeiDou and QZSS) and multi-frequency. 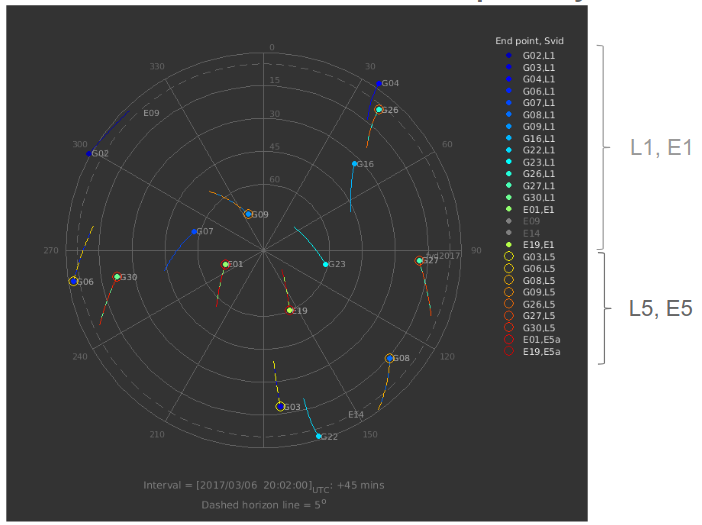 The image below shows the satellite locations for L1, L5, E1 and E5 signals tracked by a dual frequency chip. The tools provide an interactive control screen from which you can manipulate the plots, shown below. From this control screen, you can change the background color, enable the Menu Bars for printing or saving, and select specific satellites for the plots. 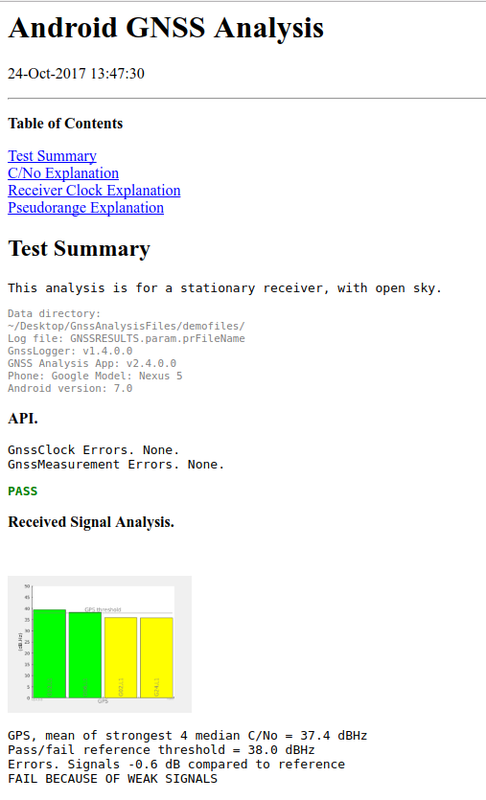 The tools also provide automatic test reports of receivers. Click "Make Report" to automatically create the test report. The report evaluates the API implementation, Received Signal, Clock behavior, and Measurement accuracy. In each case it will report PASS or FAIL based on the performance against known good benchmarks. This test report is primarily meant for the device manufacturers to use as they iterate on the design and implementation of a new device. A sample report is shown below. 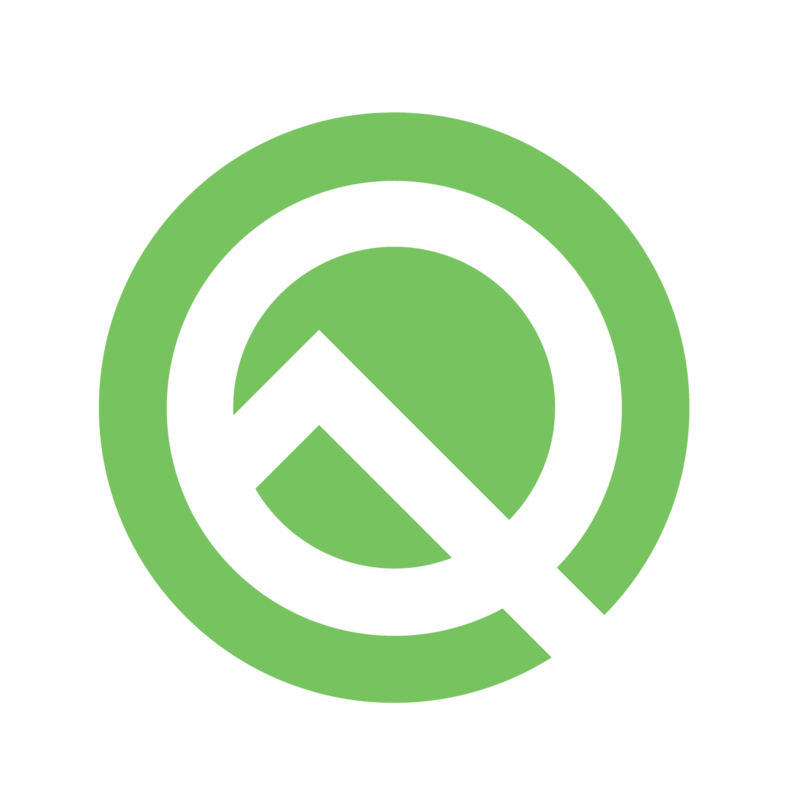 Our goal with providing these Analysis Tools is to empower device manufacturers, researchers, and developers with data and knowledge to make Android even better for our customers. You can visit the GNSS Measurement site to learn more and download this application. The 11.0.0 release of the Google Play services SDK includes a new way to access LocationServices. The new APIs do not require your app to manually manage a connection to Google Play services through a GoogleApiClient. This reduces boilerplate and common pitfalls in your app. Read more below, or head straight to the updated location samples on GitHub. 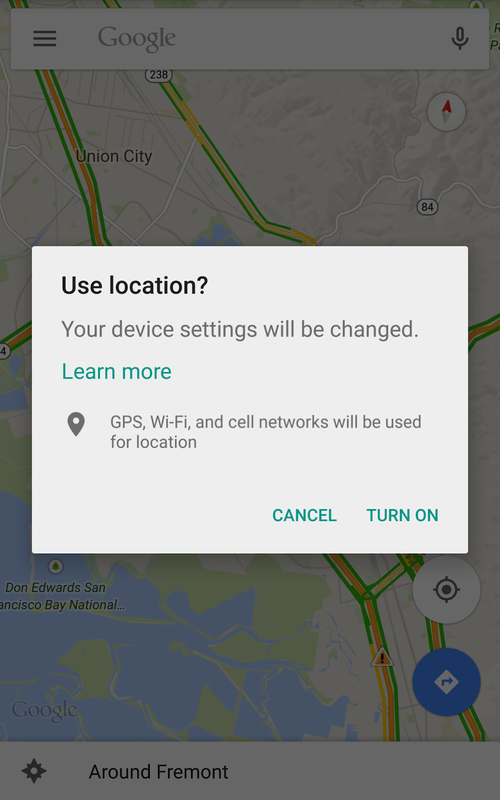 The LocationServices APIs allow you to access device location, set up geofences, prompt the user to enable location on the device and more. In order to access these services, the app must connect to Google Play services, which can involve error-prone connection logic. For example, can you spot the crash in the app below? 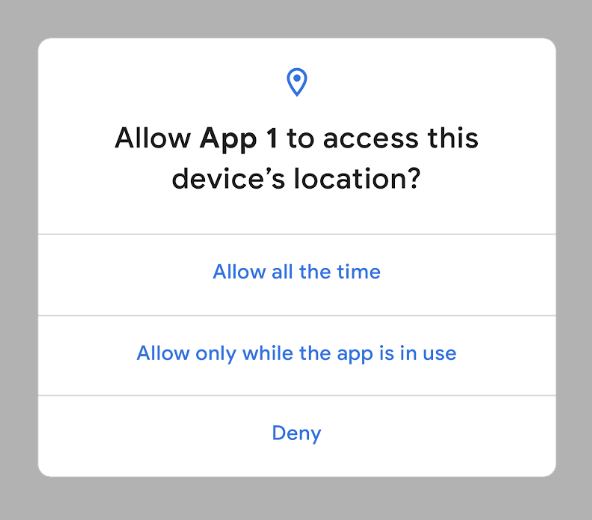 Note: we'll assume our app has the ACCESS_FINE_LOCATION permission, which is required to get the user's exact location using the LocationServices APIs. If you pointed to the requestLocationUpdates() call, you're right! 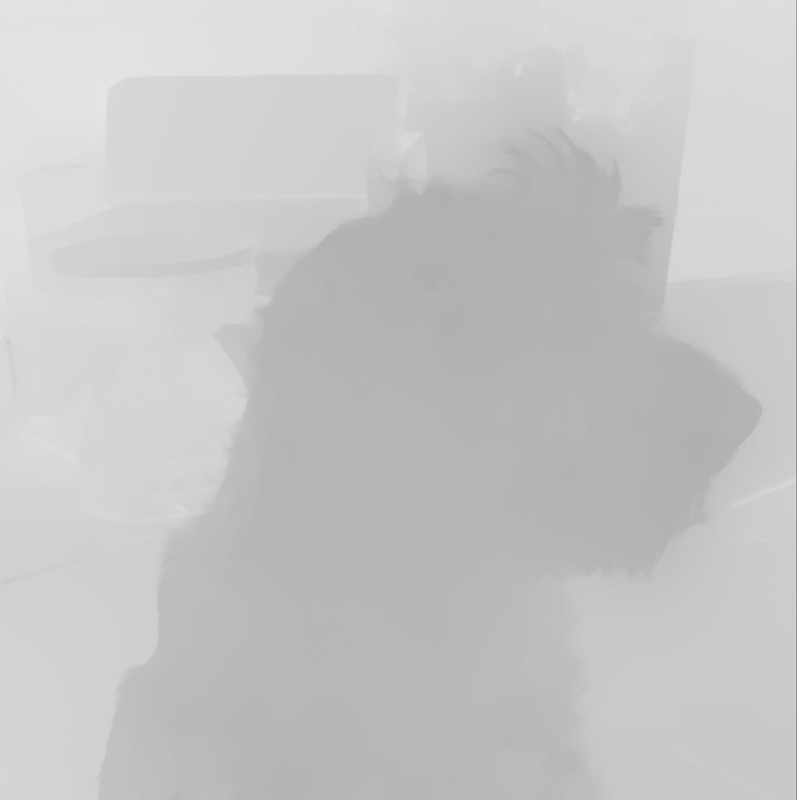 That call throws an IllegalStateException, since the GoogleApiClient is has not yet connected. The call to connect() is asynchronous. It would be hard to refactor into shared classes if, for instance, you wanted to access Location Services in multiple activities. 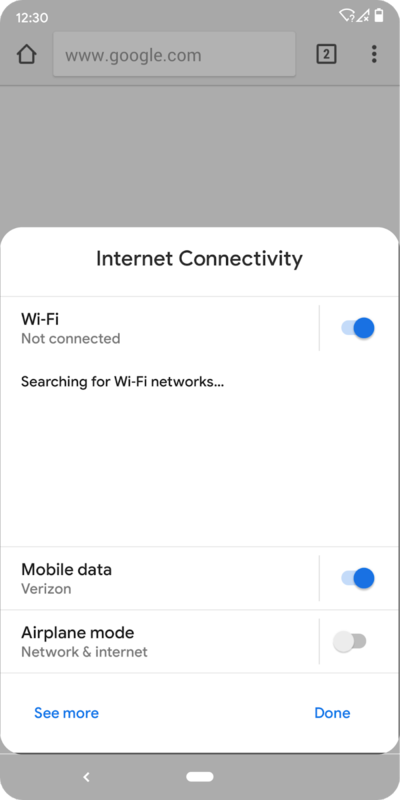 The app connects optimistically in onCreate even if Location Services are not needed until later (for example, after user input). It does not handle the case where the app fails to connect to Google Play services. There is a lot of boilerplate connection logic before getting started with location updates. You don't need to understand the underlying connection process to start coding. 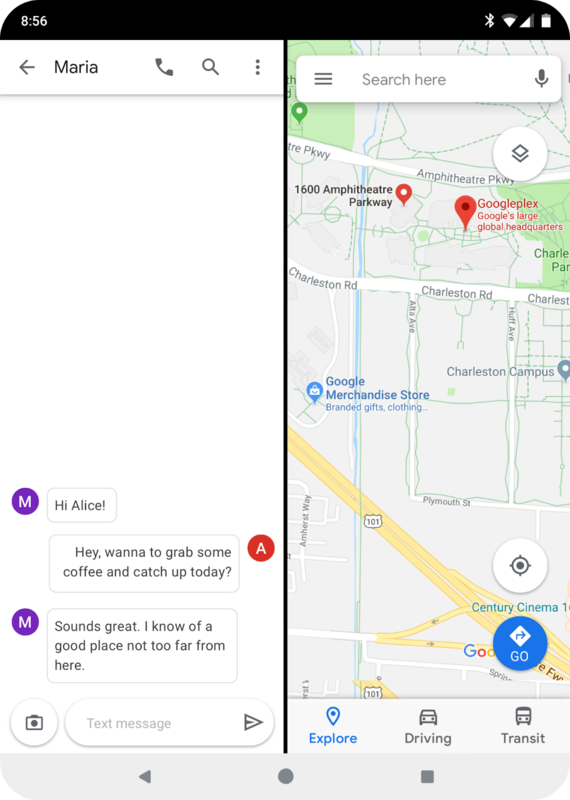 Try the new LocationServices APIs out for yourself in your own app or head over to the android-play-location samples on GitHub and see more examples of how the new clients reduce boilerplate and simplify logic. 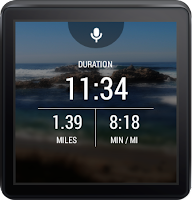 Go for a run, improve your game, and explore the great outdoors with Android Wear! 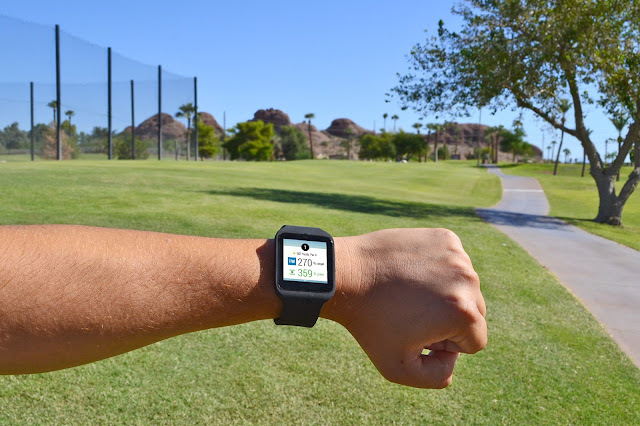 Developers are creating a diverse array of fitness apps that provide everything from pace and heart rate while running, to golf tips on your favorite course, to trail maps for hiking. Let’s take a look features of the open and flexible Wear platform they use to create great user experiences. If your app supports always-on, you’ll never have to touch or twist your watch to activate the display. Running and want to see your pace? Glance at your wrist and it’s there! Runtastic, Endomondo, and MapMyRun use always-on to keep your stats visible, even in ambient mode. When it’s time for golf, I use Golfshot. Likewise, Golfshot uses always-on to continuously show yardage to the hole, so I never have to drop my club. Check out the doc, DevByte, and code sample to learn more. Runtastic automatically transitions to ambient mode to conserve battery. There, it reduces the frequency at which stats are updated to about once per 10 seconds. It's encouraging to see how much ground I’ve covered when I go for a run or ride! Using the Maps API, you can show users their route, position, and place markers on the map they can tap to see more info you provide. 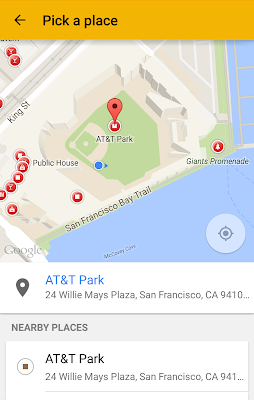 All of this functionality is available to you using the same Maps API you’ve already worked with on Android. Check out the doc, DevByte, code sample, and blog post to learn more. Endomondo tracks your route while your run. You can pan and zoom the map. Google Fit is an open platform designed to make it easier to write fitness apps. It provides APIs to help with many common tasks. For example, you can use the Recording API to estimate how many steps the user has taken and how many calories they've burned. You can make that data to your app via the History API, and even access it over the web via REST, without having to write your own backend. Now, Google Fit can store data from a wide variety of exercises, from running to weightlifting. Check out the DevByte and code samples to learn more. 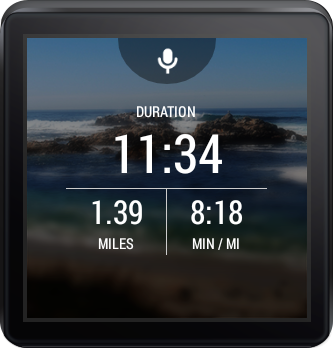 With the latest release of Android Wear, developers can now pair BLE devices directly with the Wearable. 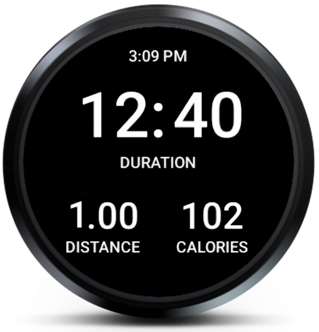 This is a great opportunity for all fitness apps -- and especially for running -- where carrying both a phone and the Wearable can be problematic. Imagine if your users could pair their heart rate straps or bicycle cadence sensors directly to their Wear device, and leave their phones at home. 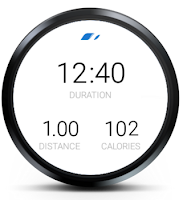 BLE is now supported by all Wear devices, and is supported by Google Fit. To learn more about it, check out this guide and DevByte. When I’m running, carrying both a phone and a wearable can be a bit much. 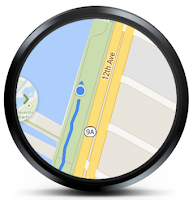 If you’re using an Android Wear device that supports onboard GPS, you can leave your phone at home! 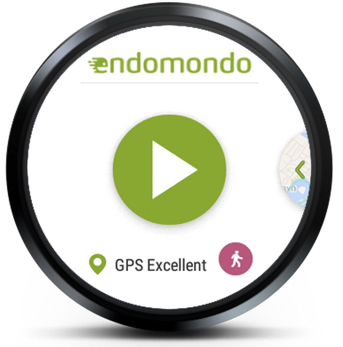 Since not all Wear devices have an onboard GPS sensor, you can use the FusedLocationProviderApi to seamlessly retrieve GPS coordinates from the phone if not available on the wearable. Check out this handy guide for more about detecting location on Wear. RunKeeper supports onboard GPS if it’s available on your Wearable. When I’m back home and ready for more details on my activity, I can see them by opening the app on my phone. 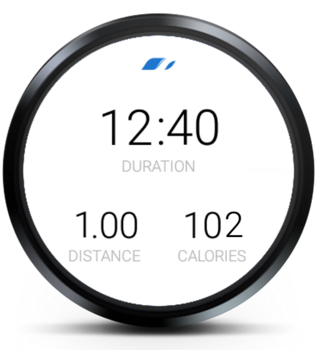 My favorite fitness apps transparently sync data between my Wearable and phone. To learn more about syncing data between devices, watch this DevByte on the DataLayer API. 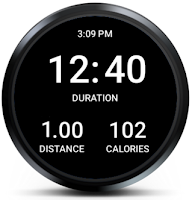 Android Wear gives you the tools and training you need to create exceptional fitness apps. To get started on yours, visit developer.android.com/wear and join the discussion at g.co/androidweardev. Today, we’re excited to give you new tools to build better apps with the rollout of Google Play services 7.3. With new Android Wear APIs, the addition of nutrition data to Google Fit, improvements to retrieving the user’s activity and location, and better support for optional APIs, there’s a lot to explore in this release. Google Play services 7.3 extends the Android Wear network by enabling you to connect multiple Wear devices to a single mobile device. While the DataApi will automatically sync DataItems across all nodes in the Wear network, the directed nature of the MessageApi is faced with new challenges. What node do you send a message to when the NodeApi starts showing multiple nodes from getConnectedNodes()? This is exactly the use case for the new CapabilityApi, which allows different nodes to advertise that they provide a specific functionality (say, the phone node being able to download images from the internet). This allows you to replace a generic NodeListener with a more specific CapabilityListener, getting only connection results and a list of nodes that have the specific functionality you need. We’ve updated the Sending and Receiving Messages training to explore this new functionality. Another new addition for Android Wear is the ChannelApi, which provides a bidirectional data connection between two nodes. While assets are the best way to efficiently add binary data to the data layer for synchronization to all devices, this API focuses on sending larger binary data directly between specific nodes. This comes in two forms: sending full files via the sendFile() method (perfect for later offline access) or opening an OutputStream to stream real time binary data. We hope this offers a flexible, low level API to complement the DataApi and MessageApi. We’ve updated our samples with these changes in mind so go check them out here! To make it even easier to retrieve up-to-date information, Google Play Services 7.3 adds a new method to the HistoryApi: readDailyTotal(). This automatically aggregates data for a given DataType from midnight on the current day through now, giving you a single DataPoint. For TYPE_STEP_COUNT_DELTA, this method does not require any authentication, making it possible to retrieve the current number of steps for today from any application whether on mobile devices or on Android Wear - great for watch faces! Google Fit is also augmenting its existing data types with granular nutrition information, including protein, fat, cholesterol, and more. By leveraging these details about the user’s diet, developers can help users stay more informed about their health and fitness. 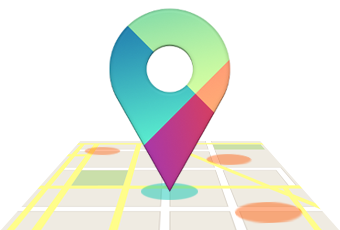 LocationRequest is the heart of the FusedLocationProviderApi, encapsulating the type and frequency of location information you’d like to receive. An important, but small change to LocationRequest is the addition of a maximum wait time for location updates via setMaxWaitTime(). By using a value at least two times larger than the requested interval, the system can batch location updates together, reducing battery usage and, on some devices, actually improving location accuracy. 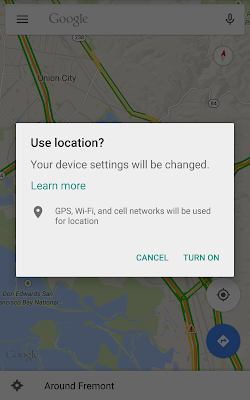 For any ongoing location requests, it is important to know that you will continue to get good location data back. The SettingsApi is still incredibly useful for confirming that user settings are optimal before you put in a LocationRequest, however, it isn’t the best approach for continual monitoring. For that, you can use the new LocationCallback class in place of your existing LocationListener to receive LocationAvailability updates in addition to location updates, giving you a simple callback whenever settings might have changed which will affect the current set of LocationRequests. You can also use FusedLocationProviderApi’s getLocationAvailability() to retrieve the current state on demand. One of the biggest benefits of GoogleApiClient is that it provides a single connection state, whether you are connecting to a single API or multiple APIs. However, this made it hard to work with APIs that might not be available on all devices, such as the Wearable API. This release makes it much easier to work with APIs that may not always be available with the addition of an addApiIfAvailable() method ensuring that unavailable APIs do not hold up the connection process. The current state for each API can then be retrieved via getConnectionResult(), giving you a way to check at runtime whether an API is available and connected. While GoogleApiClient’s connection process already takes care of checking for Google Play services availability, if you are not using GoogleApiClient, you’ll find many of the static utility methods in GooglePlayServicesUtil such as isGooglePlayServicesAvailable() have now been moved to the singleton GoogleApiAvailability class. We hope the move away from static methods helps you when writing tests, ensuring your application can properly handle any error cases. 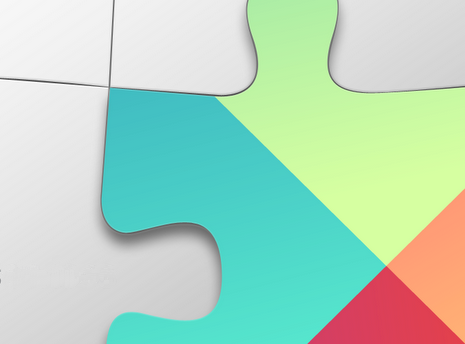 Google Play services 7.3 is now available: get started with updated SDK now! To learn more about Google Play services and the APIs available to you through it, visit the Google Play services section on the Android Developer site. 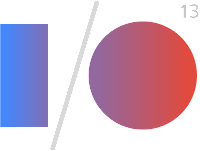 Some of the most exciting Android announcements at Google I/O this year are part of our latest Google Play services release, version 3.1. 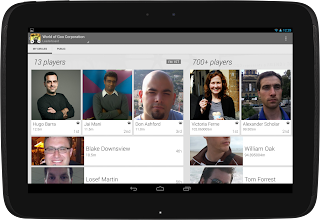 The new version brings you Google Play games services, part of a new cloud-integrated platform for social gaming based on Google+ identity. Also included are location-based services that make it easier to build efficient location-aware apps. 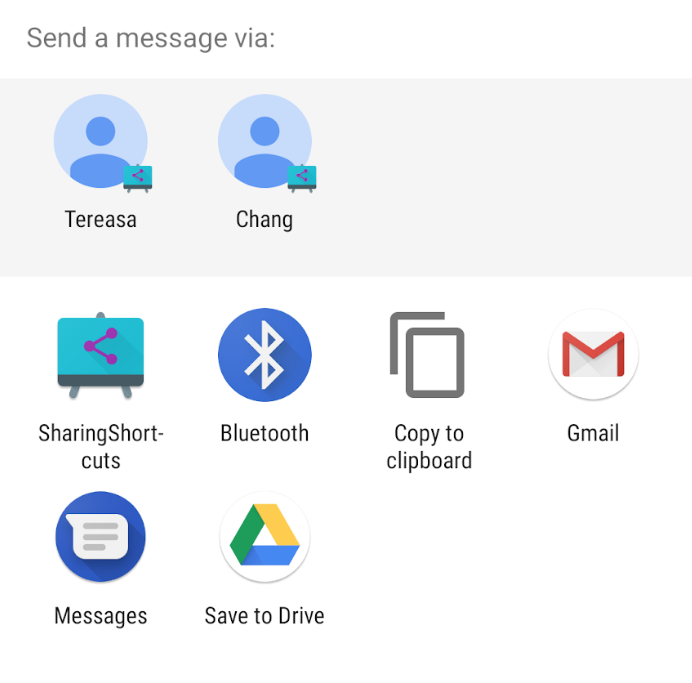 For apps using the popular Google Cloud Messaging platform, you can now take advantage of XMPP messaging and easier setup. Finally, Cross-Platform Single Sign On for Google+ Sign-In is now available to your apps. You can get started using these APIs and services right away—Google Play services 3.1 is already rolling out to Android devices across the world, with support reaching all the way back to Froyo. Games are always popular with Android developers, and the announcement of Google Play game services raised the volume even more. 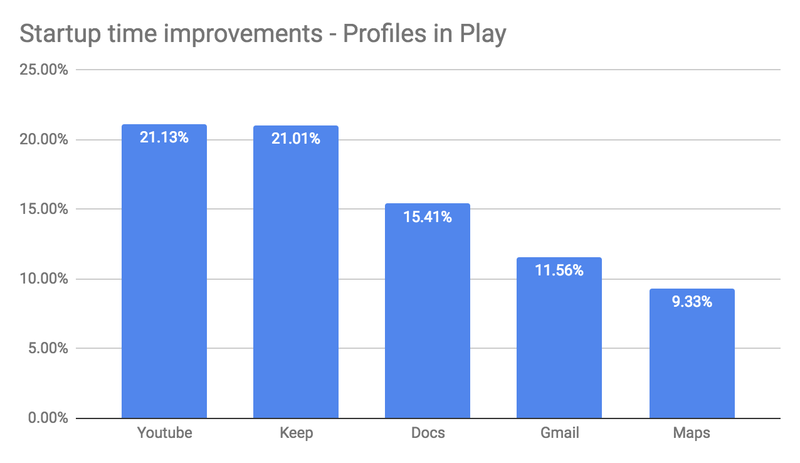 Google Play games services lets you make your games more social, with achievements, leaderboards, and multiplayer, and they help you extend your user’s games across multiple devices by storing game saves and settings in the cloud. Several great Android games are already using these new game services, including World of Goo, Super Stickman Golf 2, Beach Buggy Blitz, Kingdom Rush, Eternity Warriors 2, and Osmos. You can take advantage of the new services right away using the games services SDK included in Google Play services. For all the details, check out the Google Play games services documentation. 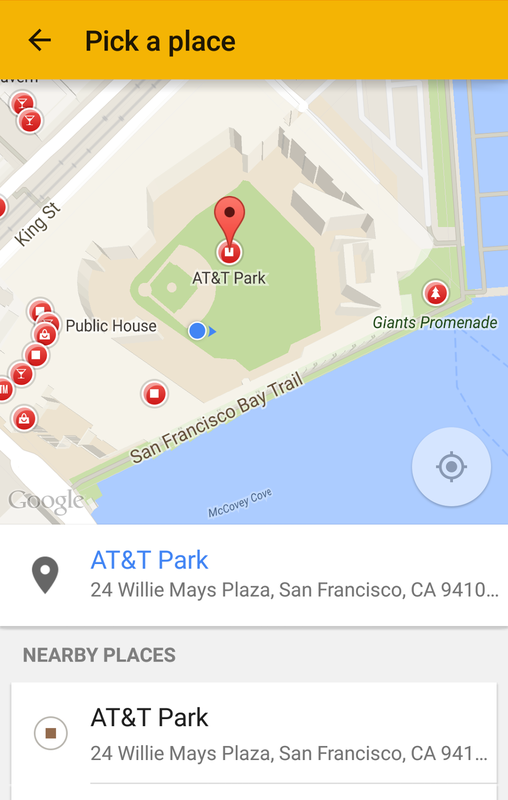 If you build location-aware Android apps, you’ll want to check out the new location APIs. They make it easy to build accurate, fast, and efficient apps, with new contextual features. The Fused Location Provider intelligently manages the underlying location technology and gives you the best location according to your needs. We’ve simplified the location APIs and completely rewritten our location algorithm to make location more accurate, flexible and use less battery. 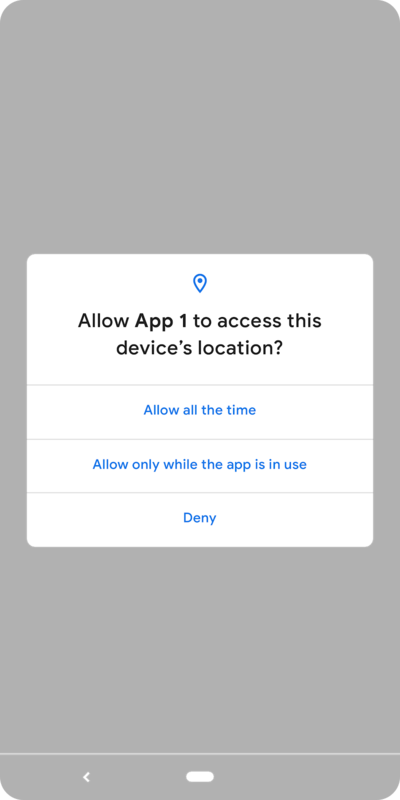 Using the new geofencing API, your app can set up geographic boundaries around specific locations and then receive notifications when the user enters or leaves those areas. With apps becoming increasingly contextual, understanding what the user is doing is critical to surfacing the right content. A new activity recognition API makes it easy to check the the user’s current activity — still, walking, cycling, and in-vehicle — with very efficient use of the battery. 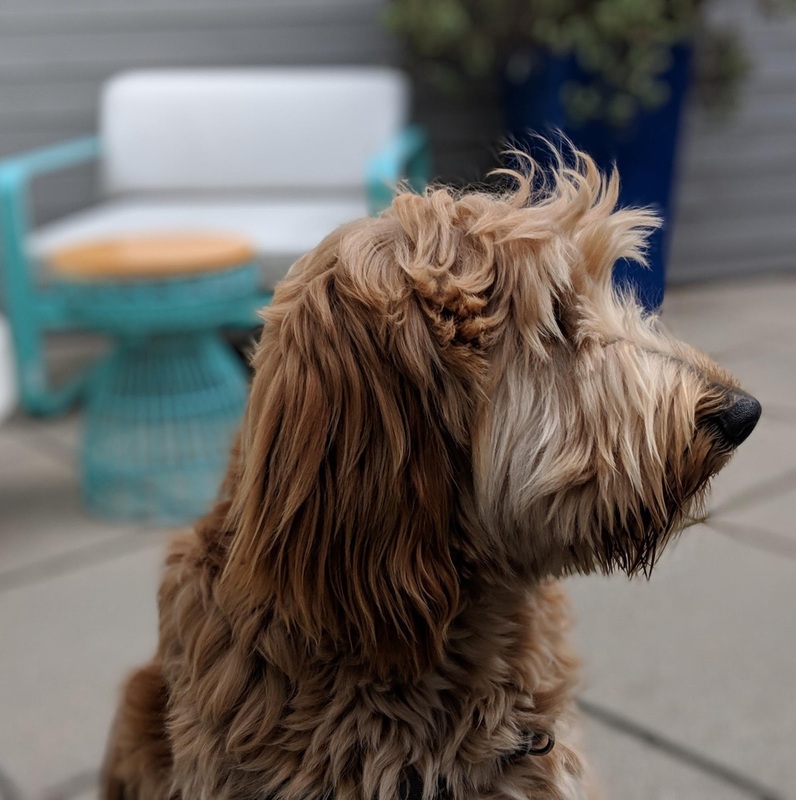 We use low-power sensors and machine-learning classifiers to recognize the activity, giving you both both high accuracy and low battery usage. To learn more, head over to our training classes at Making Your App Location Aware or dive directly into the reference docs. We’ve added APIs to make it easier to set up GCM in your apps, and in the service itself we’ve added new messaging capabilities for your apps to use. A new registration API lets your app register with the service using a single method call and begin receiving messages as soon as the call returns. If you’d like to try out CCS messaging or the User Notifications API, please sign up for early access. In the GCM service itself we’ve added support for messaging over XMPP with the new GCM Cloud Connection Server (CCS). Your servers now have a persistent connection over which to send large numbers of messages, very quickly, and with no overhead. New APIs in Google Play services let apps send messages back upstream to third-party servers using CCS, without needing to manage network connections. This helps keep battery and data usage to a minimum. Also new in the GCM service is a User Notifications API. This new API lets you synchronize notifications across a user’s multiple devices — when the user dismisses a notification on one device, the notification disappears automatically from all the other devices. To get started with GCM, head over to the developer documentation. Many people use apps on multiple devices throughout the day, switching between their laptops, tablets, and mobile devices. After signing-in to an app on one device, it’s natural that when they pick up a different device and use the same app, they would expect to be signed in there as well. To help you provide this kind of seamless transition between platforms and stay connected with users across devices, we’re adding Cross-Platform Single Sign On to our Google+ Sign-In capabilities. If your app is already using Google+ Sign-In, you’ve already got support for Cross-Platform Single Sign On. This feature will be enabled automatically over the coming days. Cross-Platform Single Sign On gives you a great way to build longer-running, cross-platform user experiences, and it dovetails perfectly with the new Google Play games services for bridging game state across devices using the cloud. To learn more about Google+ Sign-In, check out http://developers.google.com/+. Google Play Services is our platform for offering you better integration with Google products, and providing new capabilities to use within your apps. To learn more about Google Play services and the APIs available to you through it, visit the Google Services area of the Android Developers site.